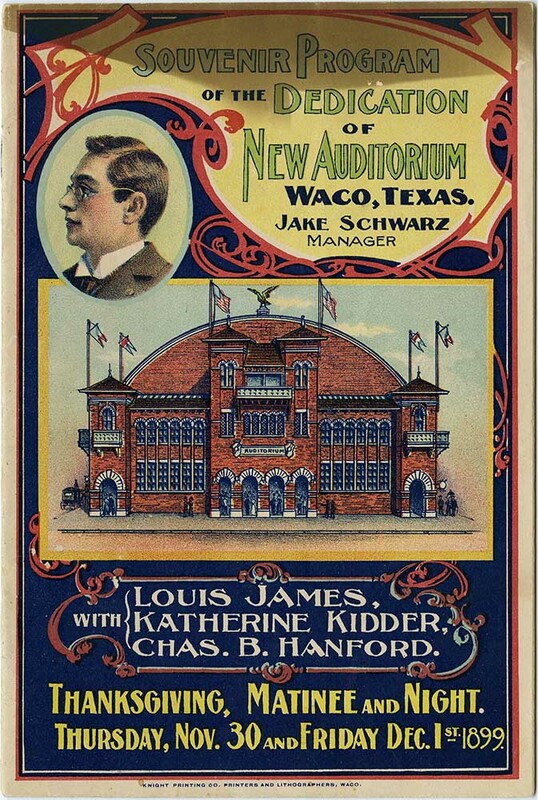 Souvenir program of the dedication of the Waco Auditorium. 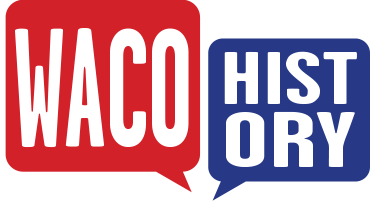 The opening of the Waco Auditorium took place over two days, November 30 and December 1. The first manager of the auditorium, Jake Schwarz, booked performances with three well-known Shakespearean actors, and the opening was heavily promoted to Waco and surrounding areas. Railroads even lowered their fares for people to travel to the grand opening.